Love him or hate him, you cannot deny that Tingle has a certain mystique about him. What is it about this spandex-clad, rosy-cheeked, fairy obsessed gentleman that we just can’t get enough of? Is it the way he helps us navigate in Majora’s Mask? Those spellbinding magic words he created himself? Perhaps it’s that the long march of time makes us relate to him more and more with each passing year? Despite his numerous appearances—including the amazing Tingle-centric trio of games that never made it outside of Japan—we never really learn much about him. Just that he’s a middle-aged man with an entrepreneurial spirit and a strong belief in fairies and magic. In gameplay, he’s able to see through Link’s mask forms in Majora’s Mask by recognizing Tatl. His treasure-hunting personality is a huge component of the Japanese titles mentioned prior, and his presence in games such as The Minish Cap encourages players to find some of the best-kept secret items. Perhaps his insider knowledge of secrets and fairies is too strong. Could his imagination be so powerful that all of Hyrule, Termina, and Link’s various adventures were born from it? What if we’re playing out a part in his mindscape where he—the dashingly handsome and enterprising cartographer and businessman—is an invaluable personage in the scheme to beat evil and save the day? So what do you think? Are we all playing in the brilliant hallucinations of a disturbed man? 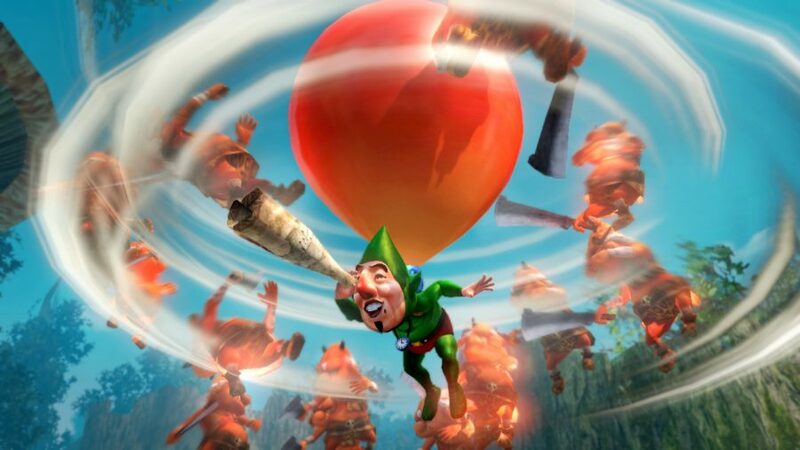 Is Tingle more than what he appears to be? Or is he simply a Hylian whose eccentricities make him naturally good at finding powerful items? This Daily Debate was inspired by Abe Card on the Zelda Dungeon Discord.